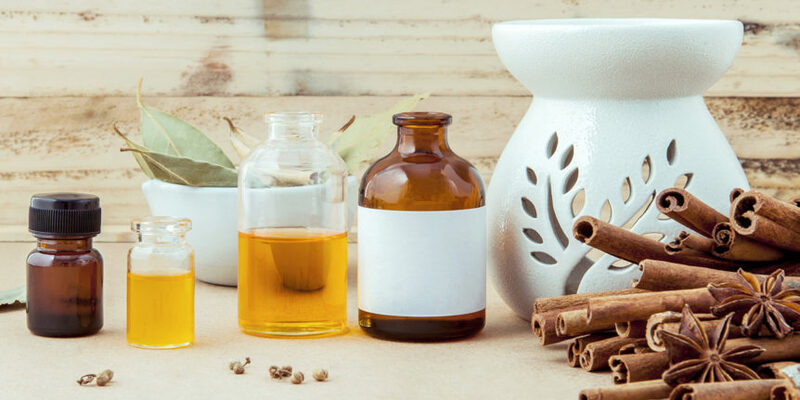 Ayurveda is about constantly rebalancing ourselves, including incorporating seasonal updates into our diets and lifestyles to achieve optimal health and wellbeing. Autumn and early winter begin to accumulate and eventually aggravate vata dosha, which is comprised mostly of air and space elements. Cold, dry, rough, mobile and subtle typify vata qualities, with bitter, pungent and astringent, the tastes that can aggravate it. Seasonal routine is important for all doshas, but since this is the windy, drying season of vata, anyone with vata, listen up! This is really important for you. Vata must be pacified using warm, oily, smooth and stable qualities. Earth and water elements help build depleted vata, and sweet, sour and salty tastes can pacify vata as well. To ease into this vata season, gently begin to change the diet to warmer, slightly spicier foods. Vata is a season to nurture – nurture your mind and body with soups, stews and porridges. Be sure to eat enough grains, dairy and oil. Also begin to introduce more external oil application to morning and evening routines, such as self-massage and nasya. Strive to maintain a stable meal and sleep routine. Try to slow down an overly active life by calming the mind with yoga practices, and by reducing nearby loud noises. rice porridge – basmati rice spiced with cardamom, cinnamon, nutmeg, teeny bit of cloves, salt and pepper. Add some soaked figs or raisins, and ghee! pumpkin soup – gently baked pumpkin cooked, then blended with milk and butter and spiced with cumin and coriander seeds roasted in ghee. Add oregano, salt and pepper, or fresh herbs (thyme, basil, marjoram) as you like. vegetable soup – cook cumin, coriander, mustard seeds in ghee, add onions or garlic. Then add chopped vegetables (potatoes, bell peppers, zucchini, green beans, tomatoes, cauliflower, corn…whatever you like, and the water. Add a couple of bay leaves. Cook until vegetables are almost soft, then add organic orzo. Add salt and pepper and a tbsp of ghee. baked apples – butternut squash pasta – bake the squash with chopped garlic and herbs (oregano, basil, thyme) and ghee, until mostly soft. Cook pasta until mostly done. Combine cubes of squash with noodles in a frying pan. Cook together gently until fully cooked, adding pine nuts, chopped kalamata olives, fresh herbs, and a touch of cheese or tomatoes if desired. Add olive oil upon completion of cooking, but before serving. Begin your day with warm oil massaged into your skin. Sesame oil is a great oil for vata season to use for self-massage. If you run hot or feel heavy, you can use sunflower oil instead. Vatas definitely need the sesame oil, or if you like to get fancy, you can also look at ashwaganda bala oil, especially if you are feeling depleted. Vata hangs out in the ears, so fill up your ears with warm sesame oil and lie on the side of your head, five minutes per ear. Stick a towel underneath to protect any sheets and pillows. Add a drop of nasya oil in each nostril in the morning. This will bring unctuousness to facial skin, delicate nasal tissues and most everything above your shoulders. Gargle sesame oil for three minutes in the morning. This will also keep facial skin from drying out and keep teeth and gums healthy. Brushing while chewing sesame seeds is a great way to polish your teeth! Apply brahmi oil to the crown of the head and the soles of the feet before bed. You can get sesame oil brahmi for vata season, but if you tend to run hot or every experience burning issues, try the coconut base brahmi oil instead. Kaphas, you probably don’t need to worry about doing this unless you feel a serious vata imbalance. Vata is erratic, so an erratic daily routine creates more vata imbalance. Try to remain steadfast with your rhythms – when you wake, when you sleep and when you eat. When you eat is of utmost importance, even more important than what you eat or how much you eat. Create your day around this important schedule. Snacks should be avoided on the meal schedule…but always have healthy, easy-to-digest emergency snacks available! Sleep is best started between 9-10pm, as that is still kapha time and the mind and body will be more grounded, stable, slower…perfect for sleeping conditions! Waking is best before sunrise, shooting for 5-6am. Sound impossible? It’s just an exercise in tapas – creating a new routine for yourself requires some effort in the beginning, but eventually the mind will be reprogrammed, reverting to a more natural sleep cycle! It is also nice to schedule exercise and yoga practices, but let’s start with the big stuff first – sleep and eats! Vata season is a great time to slow down, get cozy and curl up for the winter season. Cover the ears when you go outside. Wear warm colored clothing – deep reds, oranges and yellows are great for winter wardrobes! And most importantly, don’t push so hard. Try to find calm, relaxing places to hang out, lighten up your exercise a tiny bit, keep the noise softer and try to get back into your long-lost yoga routine. Doing gentle asana with longer breath, flow through some sun salutations, and include alternate nostril breathing as well as ujjayi breathing with emphasis on the exhales. And always enjoy a nice, warm, cozy shavasana. Be sure to follow up this practice with 15-20 minutes of meditation.